Fans of the classic British television series The Avengers and The Saint may recognize the author's name: as Ray Austin, he directed episodes of those series, as well as many other British and American shows. This is his first novel, and it's ideally suited for the small screen. 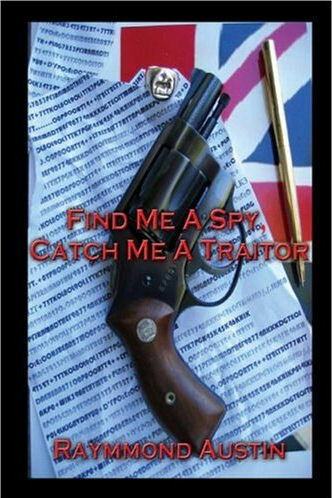 An armored car is hijacked, seemingly snatched out of thin air, and Virginia's Beauford Sloan, retired-cop-turned-private-detective, is hired to find out whodunit. Sloan, who closely resembles the actor Wilford Brimley, is a remarkably likable character. (The resemblance is no coincidence: Brimley and the author are friends, and Brimley has expressed his desire to play the detective in the anticipated television movie based on the novel. He has also written an introduction to the book.) In fact, everything about the novel is remarkably likable; perhaps because he spent decades in the world of moving pictures, Austin knows how to create detailed characters, dialogue that is both memorable and realistic, and an exciting plot. An excellent debut and a real find. 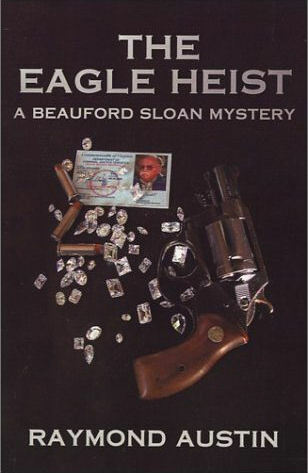 The second in the Beauford Sloan Mystery series. PI Beauford Sloan is back, and in this second mystery he is sent from his home in Virginia to the United Kingdom by the Lester Hancock Insurance Company where two have died. The first, a man insured by Lester Hancock to the tune of $20,000,000. The second, a Lester Hancock insurance investigator attempting to decide if the man's death was accidental, or murder. PI Beauford Sloan, who as readers know resembles actor Wilford Brimley, has but days to solve the mystery or the insurance company must pay. The more Beauford pokes around the more people start dying. But our hero did not buy two deaths as a coincidence, so getting to a third and fourth body only get the hairs on the back of his neck to stand up again. This might be only the second book in the series, but there is a definite comfort level with Austin's character, thereby disproving the adage about the inherent relationship between familiarity and contempt. How many detectives are cute curmudgeons who censor their profanity when talking to ladies? Besides, it is not like you have to wondering about the casting if they ever film one of these stories. 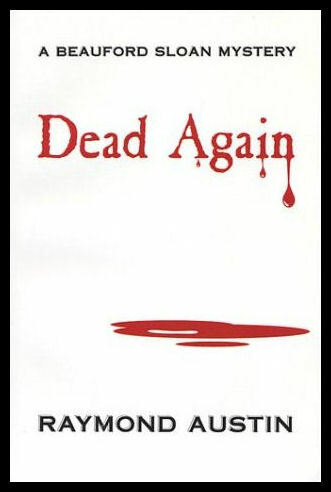 Death follows Private Eye Beauford Sloan in this third Beauford Sloan Mystery. Keeping a promise, Beauford takes his goddaughter to New York's Rockefeller Plaza and The Today Show. Little does he know what is in store for him, and the world. Beauford faces death, thwarting terrorists hellbent on blowing The Today Show and its audience to kingdom come, on a horrifying June morning. Beauford is remembered by the killer who comes out of the shadows to plague America with death and terror. This killer knows no bounds. From Brooklyn Heights to Beauford's farm in Charlottesville, Virginia, he carves a path of death. How many would die before the unknown assassin strikes at his final victim, Beauford Sloan? Beauford, wounded and weak from loss of blood, fights to save Sally, his PI partner, and her daughter (his goddaughter) from a gruesome death at the hands of the killer. 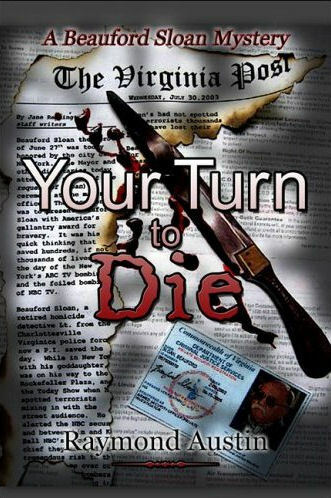 Raymond Austin has given us another fine thriller in, Your Turn to Die. Jane S. Foy, WINA Radio.